I had so much fun making Mel Odems Puzzle last time that I thought I would do a few of my own.. You really should try doing one.. it's probably something we all did when we were young but for whatever reasons we just stopped. They are only 48 pieces so not such a big deal as a 500 or 1000 piece puzzle ! I thought I'd make a puzzle from my drawing of Firestorm from my story.. This morning I was thinking about some of the "new" authors I have found recently. I've been enjoying them more then I can say, so I thought I would look up and see if I could find some things on them to share with anyone who thinks they might enjoy a young adults author... and maybe even spur someone to try something new. First off, I was back at James A Owens web site. I go there to see what he's up to, and found he's busy doing the artwork for this next book. While clicking on his links I came across one that sells the comic book STARCHILD. I know some people who have heard of the comic, and might be interested to know where you can purchase them. The books are indeed in print, and may be purchased here. I enjoy the fact that Mr Owen posts and keeps you informed about his books! Of course being able to see the artwork for book 2 ahead of time is tantalizing to say the least. After I left Mr Owens site I decided to look for Mel Odom who's Trilogy I just finished reading. If you click on his name you will find that Mr Odom has a blog! How cool! I love authors who make the time to let their fans know what's new and what they've been doing!! So... if you have read any books by Mel Odom, you might want to check out his blog! The next author I searched was Obert Skye. He has written the Leven Thumps series, which I adored! I couldn't fine an Obert Skye web site but I did find one for Leven Thumps! I must say the web builders of Leven Thumps and one for Brandon Mull's, Fablehaven are outstanding and fun to visit! If you have kids,.. or even if you don't.. you might enjoy these interactive web sites. So... these are some of the authors I have discovered fairly recently and totally enjoyed each of their works. Most are written for Young Adults but, as ancient as I am... I sure enjoyed them all! It's Hot in New Jersey! Hot Hot Hot! (love the song..not thrilled with feeling this hot though) Is it just me or do you too get tired of the news constantly reminding you just how hot it is? Do they really think we can't figure it out by ourself? I've come to the conclusion that the news ALWAYS overdoes everything. "repeat-repeat-repeat-repeat"...and in the same one hour news! At the moment we are having a "mini heat wave"..it can't be mini enough for me! I am neither a lover of it being tooooo Hot or tooooo Cold. And if you can't figure that out, it means I'd rather it be Spring or Fall then Summer or Winter! I think that, ideally, we all need to be rich and have a summer and winter home! That way we can be content with the weather most of the time! Maybe we can all get together and buy a small hotel, that way we all have a private place to live and no one can kick us out!... *yeahrightsure*.. ah well.. nice thought don'tcha think? Ah well.. I hope it's nice where you are. Not too hot.. not to rainy... just right! My girlfriend Annie emailed me today with a link. This link. It's a nice way of saying: No matter what the book / story is, if it inspires kids (of any age) to read, the book can't be called bad. It's something I highly agree with. It means: Motivation / stimulation / encouragement / muse / idea / insight / brainwave. That's a mighty powerful list! And, of course it pertains to many things. Reading is just one of the good things that come from "Inspiration". Have you ever been inspired? Did it make you read? or write? or draw? or cook? or sew? Who or what inspired you? What was it that finally made you do something that you probably always wanted to do anyway? Wouldn't it be nice if we all knew how to say the right words to encourage someone? Or to motivate someone to bigger and better things? ..Sometimes it can be as simple as a kind word. ... it's worth a few moments of thought don't ya think? This new Header all came about because of Astaryth ! Astaryth, is one of the aol folks (but maintains a mirror blog) who I began reading way back when I first started blogging. She's also.. smart! heh. Obviously.  When she put a new Header on her blogspot blog I innocently asked if a new one could be put on the "old blog templates". Now I know a tiny bit (very tiny). I can add links and such, but that's about it folks lol. Astaryth, emailed me and I sent her my template.. we went back and forth only a few times before she had the script in and I had my new header!! And all I had to do was to make and size the picture I wanted! Isn't that cool?!! So I wanted to take a moment and thank Astaryth for all her help. This isn't the first time she'd helped me do something in my journal/ blog that I couldn't do, so it stands to reason this isn't the first thank you ... and it probably won't be the last! Anyway I met Chris there. He's an unusual young man. By that I mean he's very young and already knows what he wants to do with his life! Many think if one reads Fantasy books, that they have no brains at all. This certainly isn't true with Chris. He's already graduated College and is on his way to furthering his degrees so that he can become a counselor for young adults. Isn't that marvelous?!!! How many YOUNG folks do you know who has their direction in life already decided? And not just that, but already well on his way to doing it!?! Not only is he a young man working hard to achieve his goals.. but he takes the time to stop and do a favor of an old lady who he only knows from reading blogs!! And so I wanted to give Chris a shout and tell him how much I appreciate his help! Ok, I think that's all the thank you's for today lol..
First off, let me wish everyone a very Happy 4th of July!!! I hope y'all are barbecuing and having a grand old time celebrating Independence Day! Here in NJ we are quite probably going to have thunderstorms when the fireworks should be happening. (bummer for those who go) It's been cloudy all day here and continually looking as if the prediction for the storms will be an accurate one. I hope where you are it's different, and you get to have all the get together's and fun and fireworks that you are accustomed to! Stephen R Donaldson's upcoming book of Fatal Revenant has his cover art! Some time ago I read that the cover art would be done by Palencar, but now I can't find out if this is done by him or not. And at his web site you can even read Chapter One! Mr. Owen's cover art is... of course.. his own! In other book news I was saddened to read that Ink Death by Cornelia Funke is showing a "pre-order" date (for audio only so far) of NEXT SEPTEMBER! ARrrrGggggHhhhh!!!!!! That news is just depressing! Leven Thumps and The Eyes of the Want by: Obert Skye, (book 3 -no cover art shown yet) is showing a release date of September 27, 2007. At least that's not too far away. Thank goodness that Harry Potter and Dragons of Highlord Skies comes out THIS month!!! 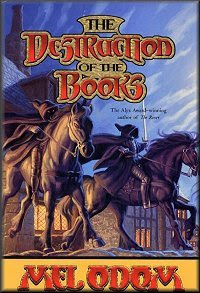 Just a few minutes ago I finished reading The Destruction of the Books by Mel Odom. I hadn't realized until I was putting the dust cover back on this one and taking it off of book 3 (Lord of the Libraries) that the cover art was done by Tim and Greg Hildebrandt. Somewhere I have an old art book by the Hildebrandt Brothers. I haven't heard their name mentioned in some time. I do remember that I very much liked their cover art for the Terry Brooks, Sword of Shannara series, which was probably why I bought their book, "The Art of The Brothers Hildebrandt" I think I will pull that book out and scan some of their work for another post. Anyway... book 2 begins 100 years after Wick returns to the Vault of all Known Knowledge (the Library). Wick is now the Grandmagister there, while Juhg (another halfling, and Wicks apprentice) is off on one of the ships that protects the island where the Library resides. When Juhg and his close ( human ) friend Raisho find out there is a book on a Goblin ship they set out to retrieve it and return it to the Library... but not without mishap! Once at the Library dangerous things occur and a secret is revealed. "I'm a Librarian, not a doctor!" Hmmm, now why does that sort of phrase strike a cord with me? heh. This second book threw me a curve when I first began reading it. I was fully expecting another adventure with Wick as the main character, but it turned out to be Juhg. It took me some time to readjust. Once I did, the book was most enjoyable and comes up with a really exciting ending, making you look forward to the third installment to see how this will all end. So.. onward and upward. 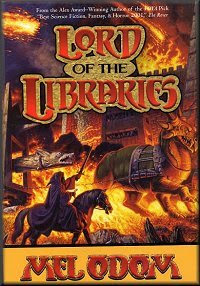 I plan to begin book 3, Lord of the Libraries , this afternoon sometime!